If you are looking for a university that offers scholarship opportunities, reasonable cost of living and a practical curriculum, I think NTU is a good choice. "The course has a good reputation, and since my Bachelors degree was in fashion design and merchandising, I felt it would be beneficial for me to have a more diverse understanding of the fashion industry especially through formal English education." "My lecturers and tutors are helpful, they give me feedback in order to improve my learning as well as help me to achieve my goal. The staff and administrators are friendly; they wait patiently for my answer sometimes when I am struggling to express myself." "Nottingham is a lovely city with an affordable cost of living. Additionally, it is located in the middle of England, which means it is easily accessible to both Scotland (the North) or London (the South). It is a good place for international students to stay since travelling around the country is also important, apart from studying hard." Why would you recommend MA Fashion Communications to someone thinking of studying it? "If you are looking for a university that offers scholarship opportunities, reasonable cost of living and a practical curriculum, I think NTU is a good choice. 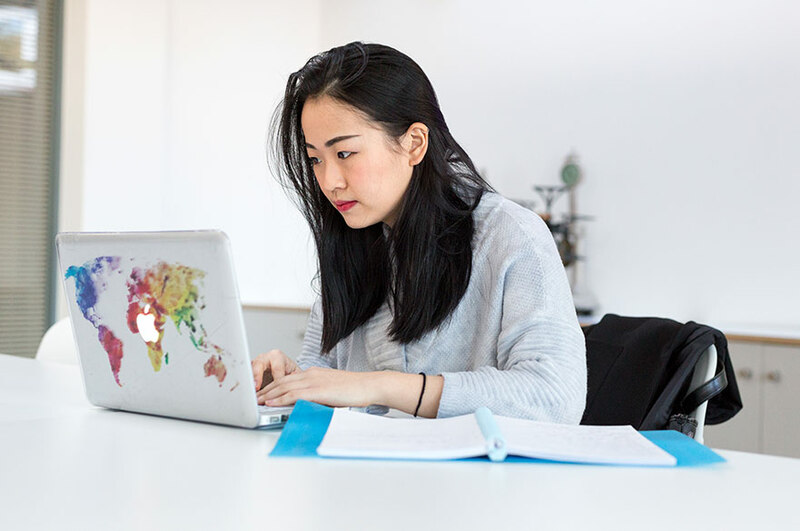 Students need to learn how to study independently; it is a good opportunity for international students to not only experience a different education, but also learn how to be responsible for your own study." "Since my education has always been fashion related, I think it is vital for me to receive an advanced formal English education; not only to improve my English language level but also to strengthen my social skills with people from different backgrounds. Additionally, I think MA Fashion Communications is a course with both practical and theoretical contexts, which I believe will help me progress my career working either back home or abroad." Did you find your Pre-Sessional English for Academic Purposes (PEAP) course useful, and can you tell us why? "I think the six week PEAP course I attended was very useful and I highly recommend it to international students. It was very organised and it helped me a lot in terms of understanding the English academic writing style. When I was working on my first assignment for my Masters degree, I didn't feel as lost as some of the international students who didn't attend the course as I knew how to start it and what common mistakes I needed to avoid."